The Highest SEER rating ever for a residential Airconditioning system. Energy Star "MOST EFFICIENT": Awarded the Energy Star most efficient designation in 2012. 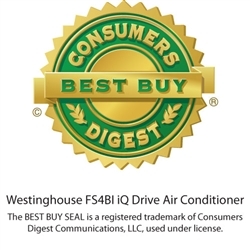 INNOVATIVE & ADVANCED: No other Air Conditioner operates like an IQ Drive. 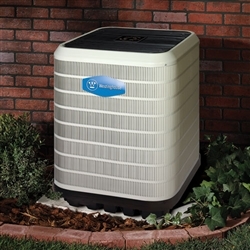 It's Inverter-rotary Technology constantly adjusts to exactly offset the cooling demands of the home. 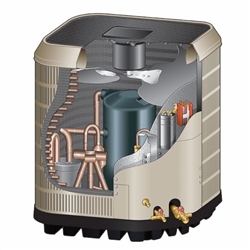 The unit modulates from 40% to 118% of capacity. 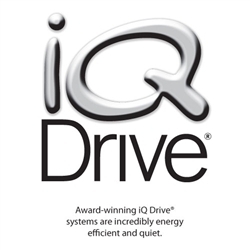 Exceptionally Quiet: IQ drive operates at the industrys lowest sound levels, down to 59 decibels. Dehumidification mode: Because the IQ drive runs longer at very low levels, it provides superior dehumidification for a more comfortable home. 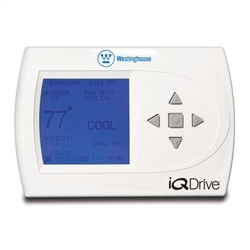 Communicating Thermostat: This unit utilizes the IQ drive controller to give you complete control over your indoor environment, including maintenance reminders, programmable comfort scheules and troubleshooting diagnostics. Environmentally friendly: Because of its energy efficiency, and high end comfort features, this unit qualifies for our "Ecologic" Green seal. R-410A Refrigerant: Earth friendly, non-ozone depleting refrigerant. Compressor sound blanket: Reduces unwanted compressor noise. High pressure switch: Protects against abnormally high system pressures. Auto reset feature prevents nuisance service calls. Low pressure switch: Loss of charge protection ensures long component life. Auto reset feature prevents nuisance service calls. Swept-Wing Fan blade: Designed to significantly reduce noise and increase efficiency.